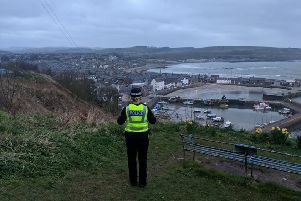 Cocaine with a street value estimated at more than £2300 has been recovered from a car in the Stonehaven area. As a result a 37 year old man has been charged and is anticipated to appear at Aberdeen Sheriff Court today, Monday, September 11. Roads policing officers recovered the drugs as a result of enquiries on Saturday, 9 September. Roads Policing Inspector Jon Barron said: “We are committed to working with Community Policing Officers to target the illegal supply of drugs to the North East.